Often international students come into my office, hand me their resume, and ask me what I think they should do for work. I put their resume down and turn the question on them-“what do you want to do?” This question is sometimes met with surprise, confusion, and occasionally relief. Career coaches in US universities will seldom tell a student what to pursue. This stands in contrast to other countries where you might be tracked into a career from early in your education. Instead, we want to hear from you about your interests and career goals. Once I know what a student wants to do, I can provide information about that field, hiring timelines, and employers, as well as ask questions and suggest next steps. A few things you might want to know about my expectations of our conversation. I do not expect you to have everything figured out; I expect your ideas to be in development. I know that you may be deciding between different careers or that you know what you like but are unsure of how that will translate into a job. What I expect is that you’ll be able to tell me some of your interests, skills, and/or the type of work you are considering. From there we will engage in a conversation about next steps. 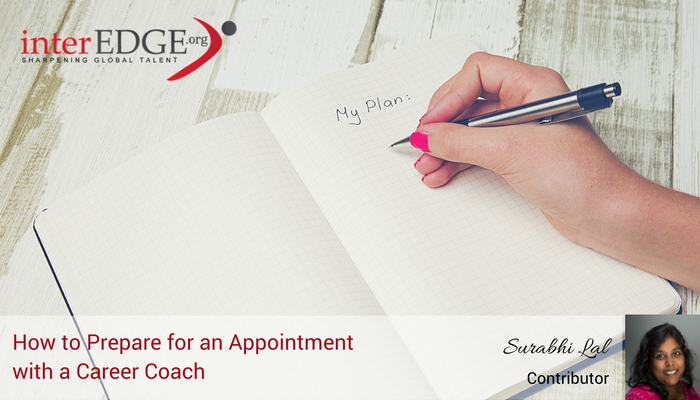 Having a relationship with a career coach is important and it takes time to develop a rapport. Taking the time to schedule a meeting is the first step. I like to meet students early in their time at school to start a conversation and begin to map out a career plan. In our first meeting, I want to know a bit about the student and their background. As we continue to meet, it gives the student a chance to reflect on their courses, student involvement, volunteer, and internship experiences and how their career goals have shifted. At the beginning of their graduating year, one of our first conversations is about post-graduate plans, including an ideal plan and a backup plan. So what are you waiting for? Connect with your university’s career center and make an appointment today.